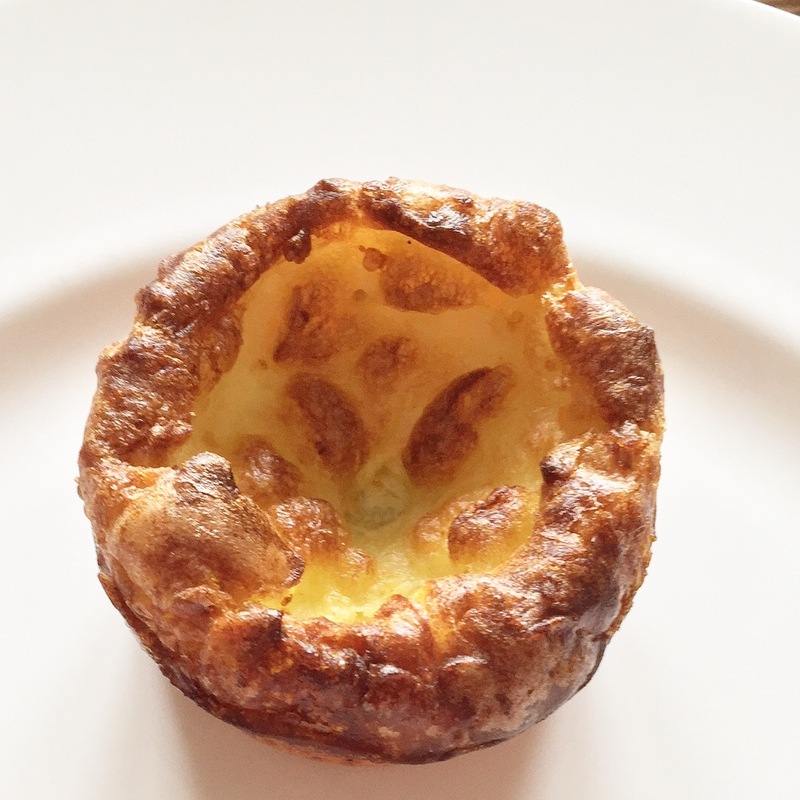 Yorkshire puddings have to be one of most iconic classic English dishes but I have a confession, I’ve never made my own before, as I’ve always a bit daunted by the idea. If you too have never made your own, you’ll be amazed at how easy it is. 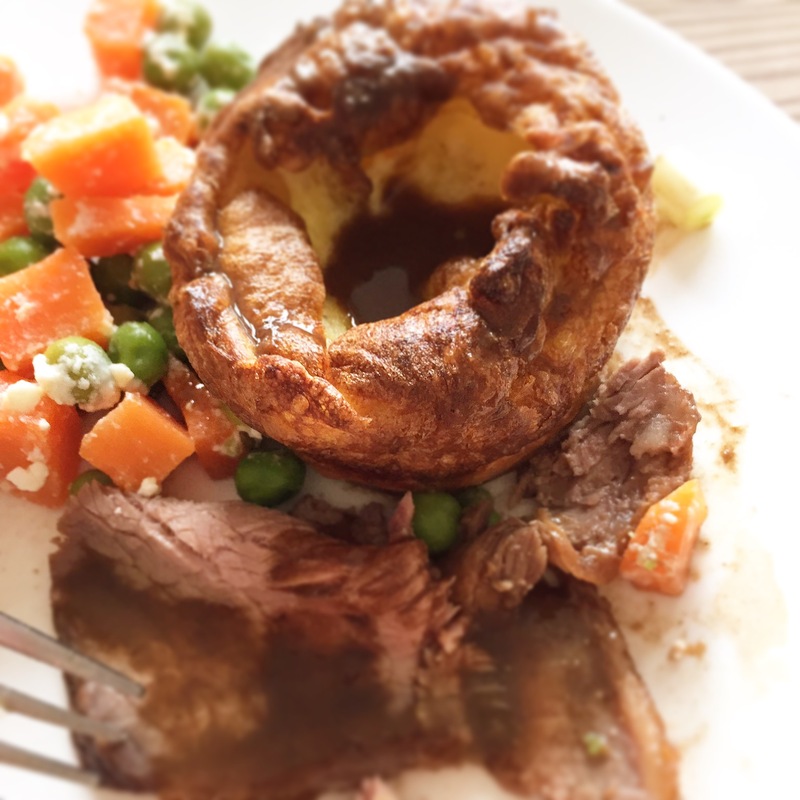 Roast beef is one of my all time favourite meals and as I was busy cooking up a massive Sunday feast it all suddenly felt wrong to be contemplating not having some Yorkshires. But I wasn’t sure I had a chance in hell of making something edible that would vaguely resemble a Yorkshire pudding, let alone dare I say it not using GLUTEN and replacing the sunflower oil for healthier chemical free extra virgin olive oil. I should have had more faith, for yet again these beauties rose perfectly without the G word and contrary to some misguided info that’s out there you can cook with extra virgin olive oil at a high heat, in fact it’s one of the best oils to do so with. I found a few traditional recipes and thought I’d have a go at creating my own using regular gluten free flour (I used Doves Farm Organic) and extra virgin olive oil. The recipes all seemed quite simple, whisk some eggs, flour and milk to make the batter, heat the oil, add the batter cook in a very hot oven for at least 20 mins. Bang. And it was that simple, and they were really amazing, not too soggy, dense or light just perfect crisp pillows of Yorkshire pud delirious bliss. We enjoyed our Yorkshires with grass fed organic roast beef, gravy made using the juices from the beef, which I roasted on red onions, a generous splash of red wine and equal splash of water and sea salt and pepper brought to the boil then reduced down on a low heat for 10 mins than sieved before serving but you could serve with the onions still in. For purely testing purposes (cough, cough) to ensure the recipe had worked and that all the Yorkshires were of equal quality I enjoyed quite a few of these beauties and am already planning excuses to make more as soon as possible. Yorkshires really are the perfect addition to any roast meal and for the uninitiated get to know the divine Yorkshire pudding you’ll love them! Using a muffin tin, cup cake cake tin, or individual ramekins pour 1cm (just under 1/2 inch) of oil into each section. I used a 12 case muffin tin and had a little left over. Check after 20 mins and take out or leave for a further minute or two if you can still see any oil. Notes: These Yorkshire puddings will keep well covered in a fridge for up to 3 days and freeze very well. As a Brit, I really appreciate this post! Looks and sounds yummy and healthy too! Love your photos!! Thank you Violet. I’m glad you like the photo’s, I wasn’t planning to blog this but it was so good I couldn’t not! So happy to have found this post! My daughter and I love our roast beef and wanted to try something different with it, other than yeast rolls. I made my first Yorkshire puddings today! They were yummy, but a little dense. The recipe I used was close to yours, and I’m going to give yours a try next. I was wondering….did you use self-rising gf flour? They were amazing, usually I use tip the oil out big mistake!